When you want to go dining in Hanoi, look no further than our elegant restaurant, Skylark, with its wonderful menu and wine list. 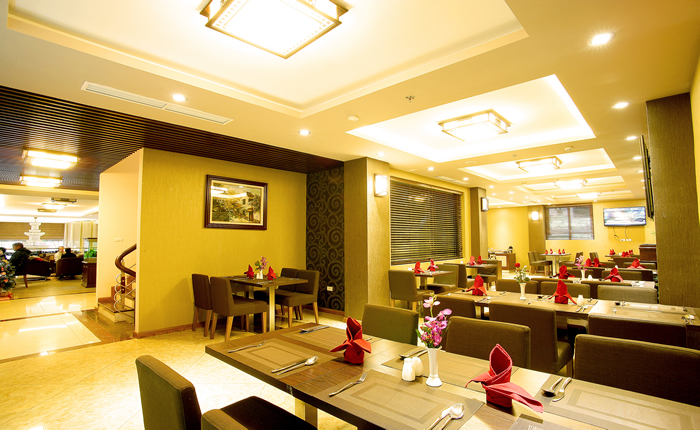 With consummate skill our chef will offer you fresh and delicious local and international dishes. Our warm and lively bar in the heart of the Hotel is the perfect spot for enjoying a drink or light snack. Relax and soak up the ambience. Open from 07:00am to 10:00pm.